Conveniently located near the ski slopes, this Lake Tekapo apartment building is within a 15-minute walk of Lake Tekapo, Mount John Observatory, and Church of the Good Shepherd. Sheepdog Statue and Tekapo Springs are also within 1 mi (2 km). 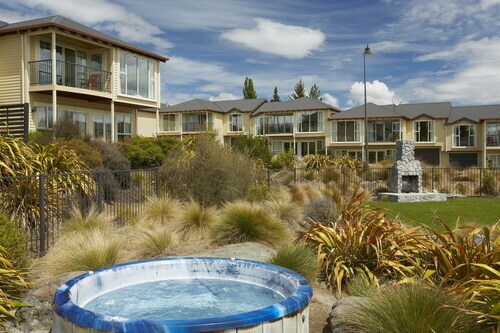 Situated on a lake, this apartment building is within a 10-minute walk of Lake Tekapo and Church of the Good Shepherd. Tekapo Springs is 1.7 mi (2.7 km) away. 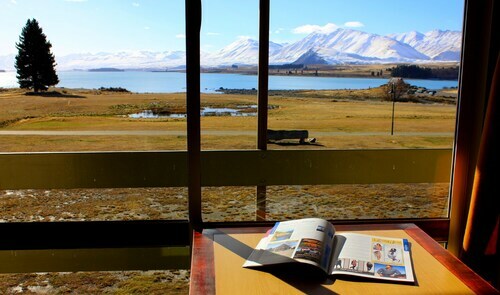 Situated on a lake, this motel is within a 10-minute walk of Mount John Observatory and Lake Tekapo. Church of the Good Shepherd and Sheepdog Statue are also within 15 minutes. 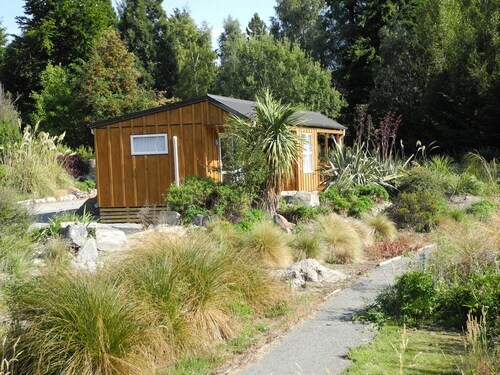 Situated in Lake Tekapo, this golf guesthouse is within a 5-minute walk of Church of the Good Shepherd and Lake Tekapo. Tekapo Springs is 1.6 mi (2.6 km) away. 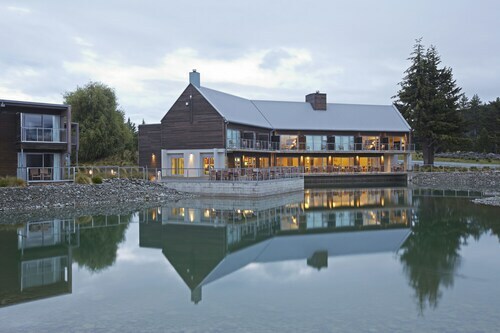 Located near the slopes, this Lake Tekapo hotel is in the mountains and within a 10-minute walk of Mount John Observatory, Lake Tekapo, and Church of the Good Shepherd. Tekapo Springs is 1.3 mi (2 km) away. 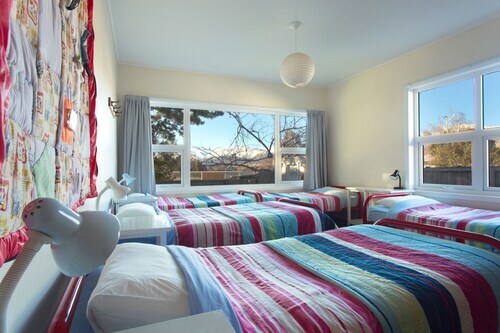 Situated in Lake Tekapo, this golf hostel is within a 15-minute walk of Mount John Observatory and Lake Tekapo. Church of the Good Shepherd and Sheepdog Statue are also within 1 mi (2 km). Situated in Lake Tekapo, this vacation home is within a 10-minute walk of Mount John Observatory, Lake Tekapo, and Church of the Good Shepherd. Tekapo Springs is 1.6 mi (2.6 km) away. Situated in Lake Tekapo, this apartment building is within a 10-minute walk of Mount John Observatory and Church of the Good Shepherd. 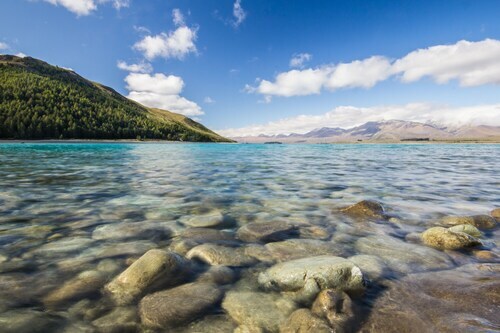 Lake Tekapo and Tekapo Springs are also within 2 mi (3 km).